Sign up by Friday, October 13: goo.gl/Bwgyvd. Questions? 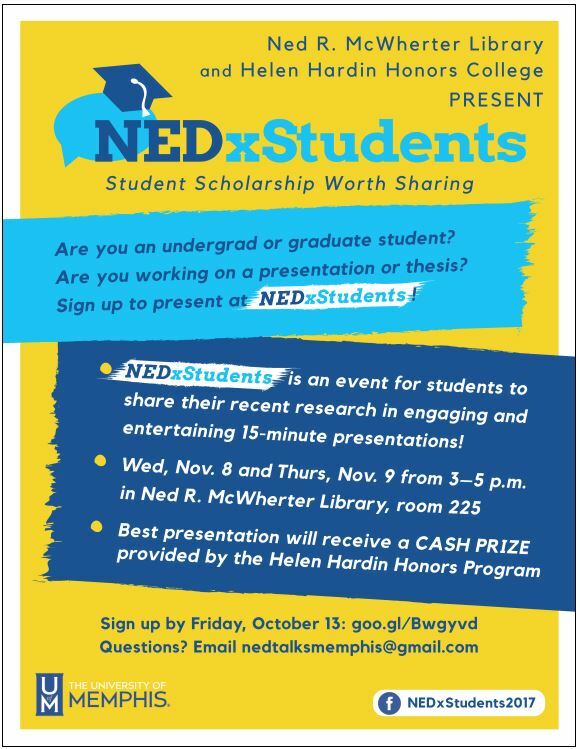 Email nedtalksmemphis@gmail.com. ← Enjoy MetOpera on Demand through October 5th!